Well, we now know what's going to replace The Story Of Minglan after it ends and it looks like a romantic comedy. Unbeatable You 逆流而上的你 stars Pan Yueming (Candle in the Tomb: The Wrath of Time), Ma Li (Top High Energy Doctors), Sun Jian (Tribes and Empires: Storm of Prophecy), Maggie Huang (Princess Agents), Li Naiwen (Mr. Right) and Liu Weiwei (Spy Hunter). The series will have 40 episodes. Judging from the initial stills, it won't be your typical romcom like Meteor Garden or It Started With A Kiss where school life and hot boys are the norm but seems to be catered for a more mature audience since it deals with adult life. Although famous for his serious acting in the crime thriller Day & Night, Unbeatable You is where we will see the 44-year old Pan Yueming try his hand at a romantic comedy. With three couples, there are different storylines to follow. 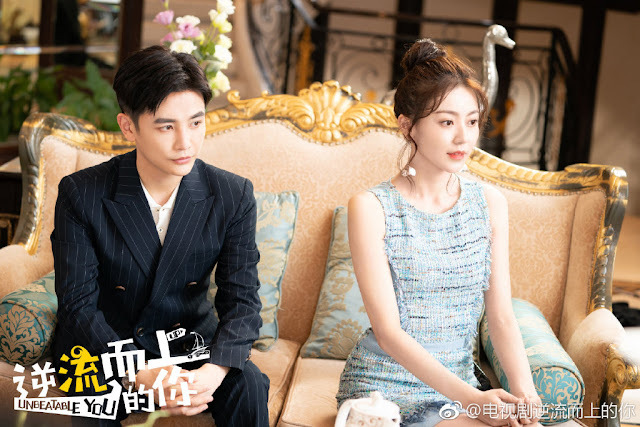 The main couple played by Ma Li and Pan Yueming are a sales agent and her husband. They go broke after encountering problems at work at the same time. 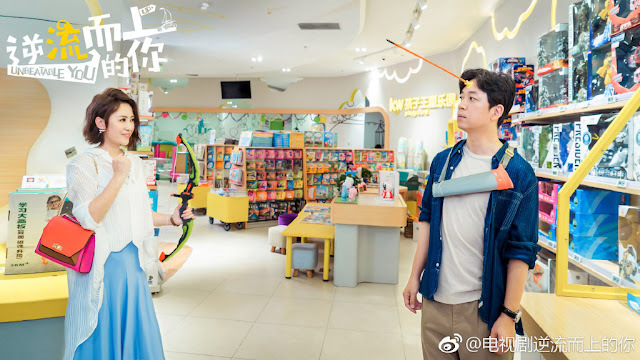 Sun Jian and Maggie Huang play a couple who have a shotgun wedding before they learn to fall in love. Li Naiwen and Liu Weiwei are a couple that find love unexpectedly.